Bullets have been beaten into a cross, which has been given to the new Bishop of Gloucester. 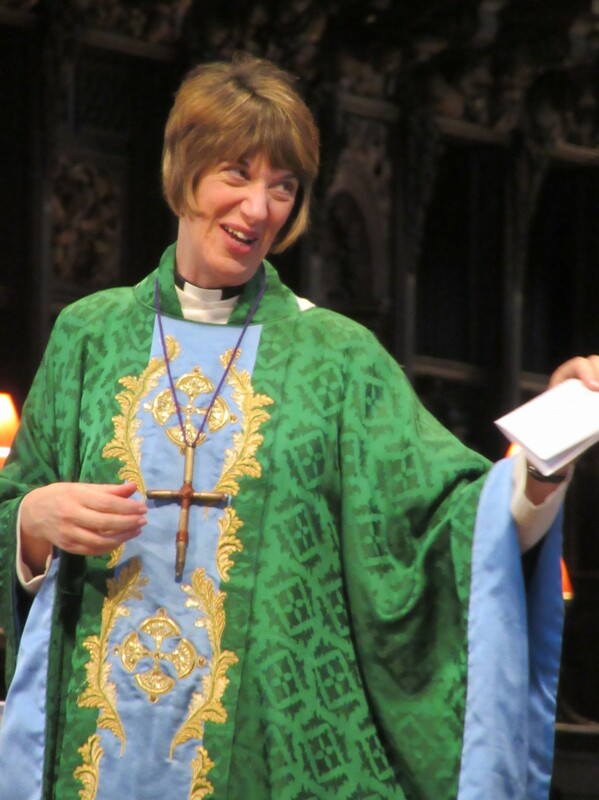 The special pectoral cross, which is a symbolic item worn by a bishop, was presented to Rachel Treweek when she was ordained as the first female diocesan bishop yesterday in a service at Canterbury Cathedral. It was created from bullet shells which had been found on the battlefields of Mozambique’s civil war. Bishop Rachel was very involved with a link with Mozambique for a number of years during her time as an Archdeacon in London. The pectoral cross tells the story of Mozambique’s journey to peace after the post-colonial civil war which ended in 1992. The Christian Council of Mozambique set up the project, Transforming Arms into Plowshares, in 1995, which transforms recycled weapons of war into art, as a tool for peacebuilding and more importantly, peacekeeping in post-conflict societies. To date over 900,000 weapons have been decommissioned. During the service, Bishop Rachel was also presented with her episcopal ring, another item which highlights her passion for conflict transformation in South Africa. 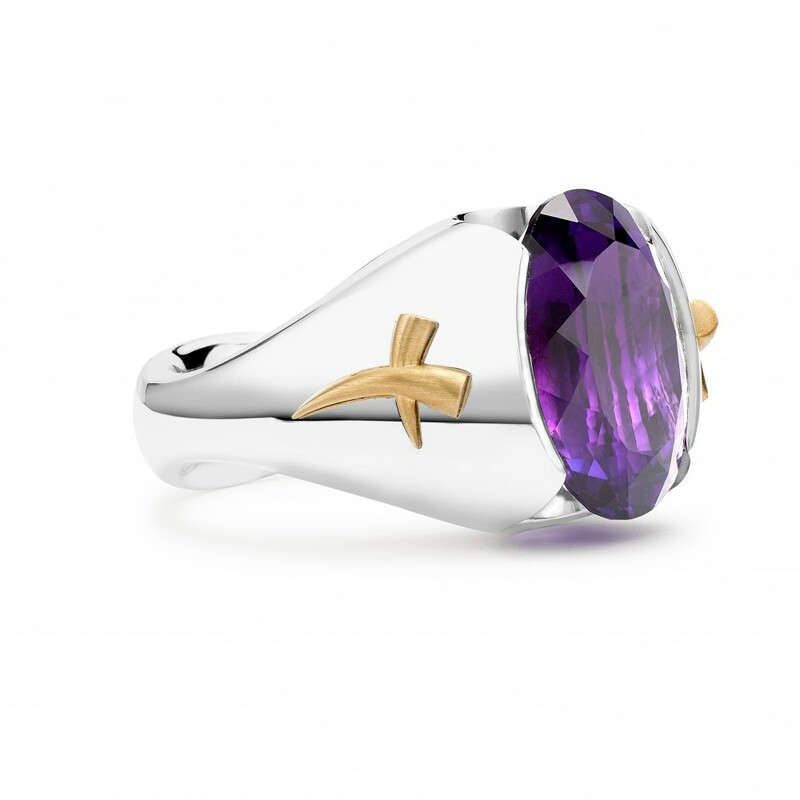 The episcopal ring was designed by eminent jeweller, Paul Spurgeon, noted as one of the modern innovators in British jewellery design. His link to Rachel came through his Cornerstone project, aimed at empowering disadvantaged and marginalised people of all persuasions, primarily from the African continent. Paul set up Cornerstone in South Africa, a business that employs local people to create and sell jewellery. He said. “I was honored to have been asked to design and create a ring for Rachel. She discovered the work I was doing in South Africa, which in its small way helps local people into work and trains them in a profession. I am driven by my faith and believe in an active and pragmatic God that can make these things happen.